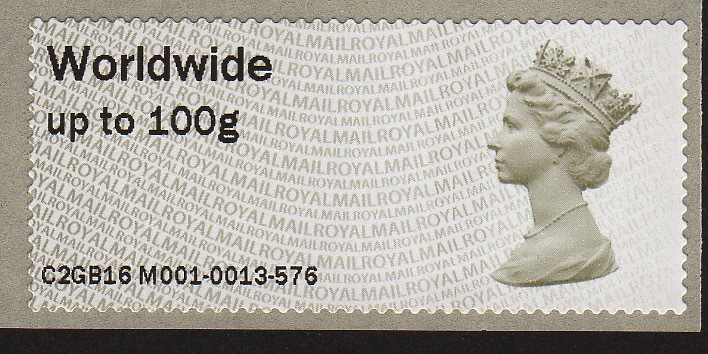 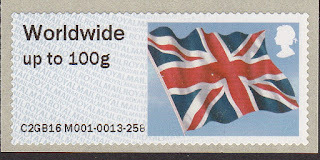 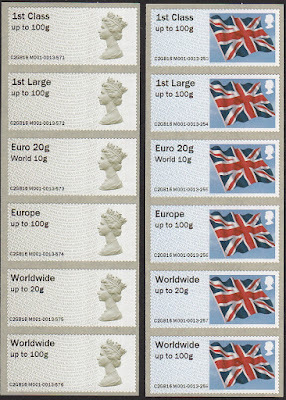 On the face of it the Machin stamps are no different to the ones sold earlier when the machine was at Royal Mail's engineering and training facility at Wheatstone House, Swindon, with only the datastring being different. 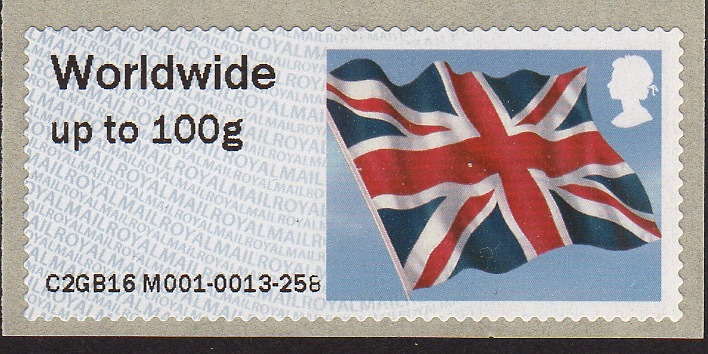 However at BFPO the Union Flag is also available (we don't know whether this was the case at Swindon). 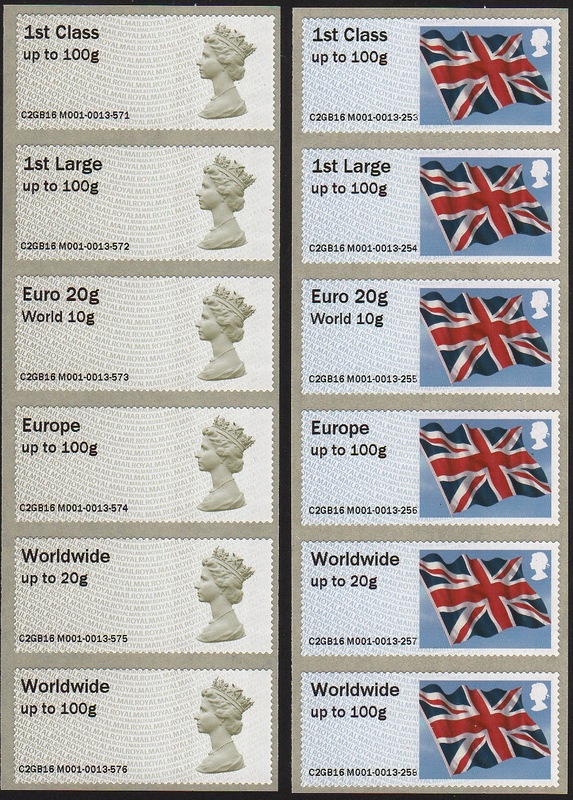 Illustrated below are mint stamps and the combined FDC. 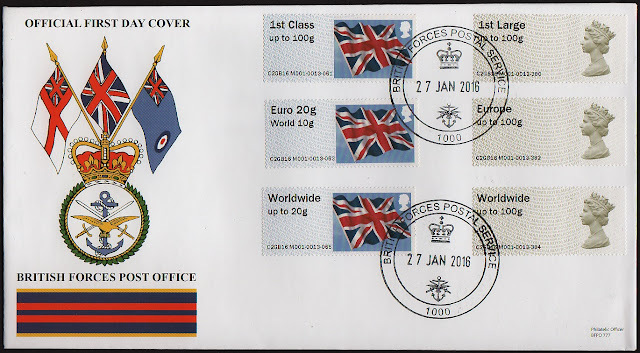 Also available were separate FDCs for Machins and Flags with a complete set of stamps on, all cancelled with the BFPS 1000 postmark 27 JAN 2016. 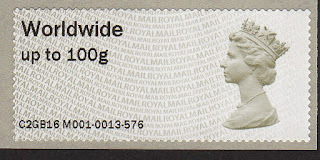 Unfortunately the stamps were not obtained until late February, and all receipts seen so far are dated 25 February, with session number 0013, indicating that the session numbers were reset for BFPO. Now 2nd class with graphic!